Kenneth Branagh appears to set to direct and star in a new film adaptation of Agatha Christie’s classic mystery novel Murder on the Orient Express. The movie is in development at 20th Century Fox with big names including Ridley Scott (The Martian), Simon Kinberg (X-Men: Days of Future Past) producing the title. Michael Green- who is penning the upcoming Blade Runner 2– is writing the screenplay. Murder on the Orient Express marks the latest directorial assignment for the multi-hyphened Branagh. The film and original novel- first published in 1934- revolve around a murder aboard the famed titular train. 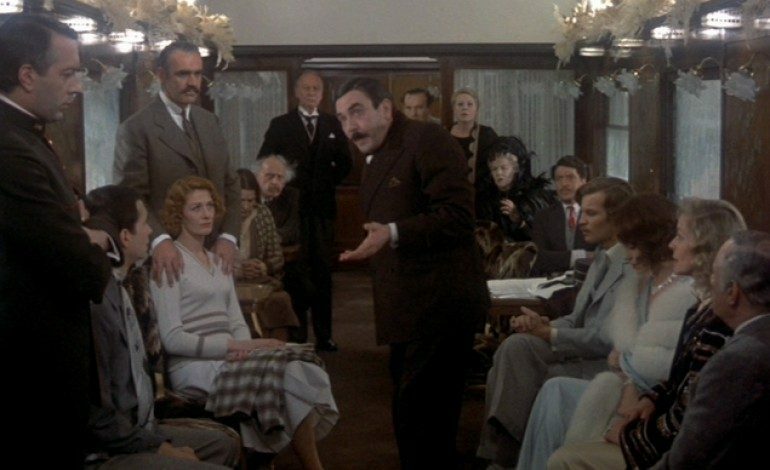 Belgium sleuth Hercule Poirot (to be played by Branagh) must solve the mystery among a bevy of possible suspects. The novel is considered one the greatest mysteries ever written. The novel was famously adapted previously with the 1974 version directed by Sidney Lumet (Network, Dog Day Afternoon). In that iteration, Albert Finney (Erin Brockovich) portrayed Poirot and the all-star ensemble cast included luminaries like Ingrid Bergman, Lauren Bacall, Martin Balsam, John Gielgud. Wendy Hiller, Anthony Perkins and Vanessa Redgrave. That film was well-received and earned six Academy Award nominations with legendary actress Ingrid Bergman receiving an Oscar for Best Supporting Actress. Aside from Branagh, there’s no word as to who may be joining him on-screen however with the wealth of supporting players a top-tiered ensemble cast seems assured. As a director, Branagh has recently captained several eclectic movies ranging from the recent Disney live-action hit Cinderella (which starred Lily James and two-time Oscar winner Cate Blanchett), the 2014 action reboot Jack Ryan: Shadow Recruit and the 2011 Marvel film Thor. Branagh came to international fame with his 1989 Shakespearean adaptation Henry V, a film in which he received Oscar nominations for both directing and starring- he also received Oscar nods for penning the script for his 1996 Shakespeare adaptation Hamlet, directed the 1993 short film Swan Song and co-starring in the 2011 film My Week With Marilyn. We will stayed tuned to the latest developments.